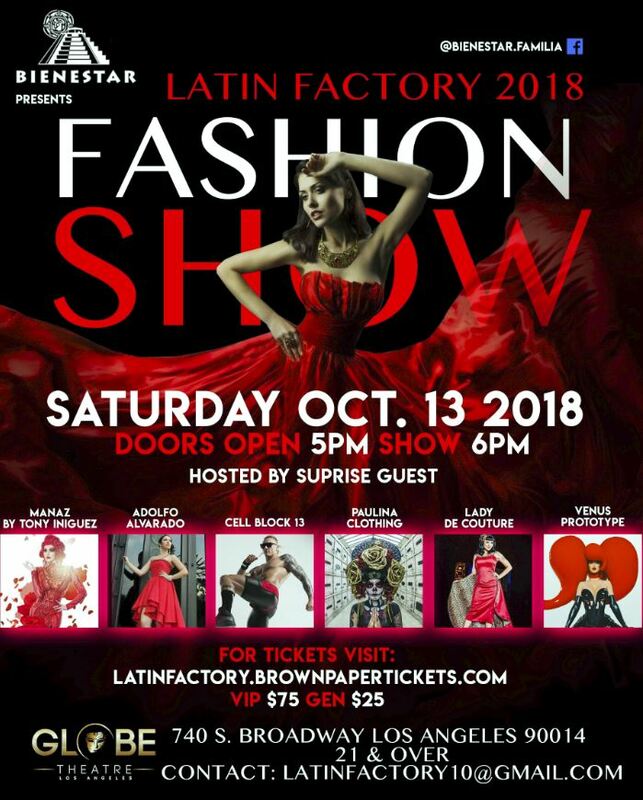 You are cordially invited to BIENESTAR’s annual fashion show fundraiser, Latin Factory 2018! On Saturday, October, 13th, six Latino fashion designers will present their designs for all of LA to see at the luxurious Globe Theatre in Downtown LA. Join us for a night of fashion, fun, drinks and community! More information about our surprise guest host coming soon!